Snoopy said years ago there were three things to not discuss in public. Politics, religion, and the Great Pumpkin. We tend to be pretty good about the third one, but the first two not so much. Chesterton was also told when he got his job with the newspaper writing that he could write about anything except politics and religion. He said those were the only things worth writing about. Today, we have a multiplicity of views on politics and religion. Some Christians are extremely gung-ho about politics. Some could be so much that they marry their Christianity to their politics. Others take an exact opposite approach. Politics is about the kingdom of man. We need to talk about the kingdom of God. They say this and conclude there’s no reason for Christians to be involved in politics. So which is it? We have quotes from the Bible like “My Kingdom is not of this world” and “Render unto Caesar”, but at the same time, Jesus is a political figure often. He is a challenge to Caesar and to Herod both. Biblical scholars have shown that the title Son of God given to Jesus is also a title that was given to Caesar. To discuss this, I needed to have someone on the show with a foot in both worlds. I needed a Christian who knows politics very well. I didn’t have to look very far. I found this one just on my radio dial. Here in the Atlanta area, there is someone who has his own show on the local talk station, WSB, who is also a devout Christian in seminary. His name is Erick Erickson. 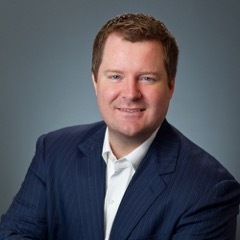 Erick Erickson is the host of Atlanta’s Evening News on WSB and Editor of The Resurgent. Erickson has been a contributor for both CNN and Fox News and The Atlantic named him one of the most influential conservative voices in America. He studied political science and history at Mercer University and earned a law degree at Walter F. George School of Law. He is currently working towards his Ph.D. in theology. Erickson lives with his family in Macon, Georgia. To learn more, visit http://theresurgent.com/. We’ll be talking about the intersection of politics and religion. How does a Christian navigate the worlds of politics and religion? There are so many issues that it seems we need to be aware of in politics and in the world of Facebook, everyone thinks that they’re an expert on everything. How can Christians be able to have an influence on politics and still devote themselves to the Kingdom of God? How also should we settle political differences? Was Jesus a Republican or a Democrat? Was He a Communist or a Socialist? I hope you’ll be listening this Saturday as we discuss a plethora of such issues. Please also be in prayer for me. I recently did have to have two teeth extracted. I am in recovery, but I am doing the show anyway. (This isn’t me being stubborn either. The dentist said I could.) Please also go on iTunes and leave a positive review of the Deeper Waters Podcast. What is really responsible when a mass murder takes place? Let’s plunge into the Deeper Waters and find out. Many of us spent our Valentine’s Day celebrating time with that special someone in our lives. I managed to use Amazon credit to get my Princess several gifts and we went out to dinner together at a nearby Subway. Our day was special and we shouldn’t deny that, but there were plenty of people that didn’t have a special day. Some girlfriends never got to have that evening date with their boyfriends and vice-versa. At least one teacher was killed and if he was married, he didn’t get to spent Valentine’s with his wife. Several parents might have had to cancel plans because they suddenly had to go and identify the bodies of their children they never expected to lose. And for many of these people, Valentine’s Day might never be a day of happiness again. If there is one word that could be used to describe what happened, it is evil. This isn’t a post though about the problem of evil. Plenty has been said about that and often by people much more equipped than me. This is about another topic in relation to it. One of the first things I noticed in listening to the news is that it was immediately said that this shooter (Let’s not mention his name people. The victims were people worth knowing about, but not this guy) was mentally ill. Perhaps he was. I do not know for sure, but usually, that seems to be the first assumption. There had to be a mental illness. The problem is this is said before any facts are known and second, it paints with too broad a brush. I called in to a local radio show yesterday to talk about this and the host did agree with me. My wife and I both have Aspergers. She also has PTSD and bipolar and hallucinations, but we are not the kinds to go shooting up a school. Technically, we each have a mental illness, but we’re both functioning members of society. The problem is mental illness is way too vague. Consider if I told you that many people die of physical illness. That is true. Cancer and various diseases are physical illnesses. Does that mean when you have someone who has the common cold you’re going to have a prayer vigil around their bed to make sure they don’t die of the disease? It’s also false to just assume someone has a mental illness and that was the cause of their behavior. After all, that would have to be it. Right? I mean, surely a person in their right mind would not do something like this? People in their right minds do things like this. Why? Because people are sinners. We all have some evil in us. Some of us just don’t do anything to stop what we have. Some of us seem to relish it and celebrate it. If that’s the case, it will take more than just medication. The reality is if someone is bent on doing evil, they will do evil, and no amount of laws will stop that. For those of us in the mental health community unfortunately we are all painted with this broad brush when the term is thrown out there without any explanation. People have honestly thought before my wife and I could be threats because of Aspergers. Not only that, but then you ask people to encourage and support those with mental health issues and who could they be thinking about? Those people that they see on TV who shoot up schools. Could it be that the actual problem is that word that no one wants to use? Could it be that sin is the problem? Of course, the media doesn’t like to use the word sin. We don’t like to admit that some things could be wrong often because that could get into our personal lives. Some things are evil though. Sometimes, it’s we who are evil. It’s not an imbalance in the brain. It’s one in the heart. If someone is mentally unstable enough to kill someone, which can happen, we do need to deal with that, but we also don’t need to just assume it was some mental condition and if the person’s brain was in right order, this would never happen. We all do wrong things and it would be so nice to always blame it on brain chemistry, but it doesn’t work. We know it. We are responsible. We bear the blame. Pray for the people left behind by this tragedy and especially for the families of those who have lost loved ones and yes, even for the person who committed this vile act that they will find forgiveness in Christ. What can we learn from discussion on this matter? Let’s plunge into the Deeper Waters and find out. Yesterday, a tragedy occurred with a shooting in a Texas church. I am sure it was at least 20 who were killed as there are different reports out now and I know one of them was the pastor’s 14 year-old daughter. Either way, we have a tragedy right now, but what happens when we go to Facebook and the comments section to see what’s going on? There’s immediately charges about who did it and why. Now in some sense, I can understand people not mourning. After all, there are several people who will die today and you and I will go through our lives for the most part and not even blink and in fact be happy about it. There’s nothing abnormal about this. When July 24th comes every year, for most of you out there, it’s likely another day of the year. For Allie and I, it’s a very happy time as that’s our anniversary. I don’t expect someone who doesn’t know us to be happy or to have zero sadness on that day. Every day is day of tragedy for someone and a day of joy for someone else. I have no problem actually then with people discussing this problem and what to do about it. What I have a problem with is people who don’t know the facts acting like they do. In fact, many of them hope that the facts are on their side. That is, the fact that the killer was a member of a certain religion or political persuasion. One report I have heard is that the gunman was an atheist who wanted to strike out at a church and I think it was his mother-in-law’s church. What would that show? It would not show that you need to be living in fear of the atheist that you meet. It would not show that all atheists are bloodthirsty killers. In fact, many atheists can lead moral lives that could put many Christians to shame. What if it was a Christian? Again, you would not be able to extrapolate to all other Christians out there. In fact, you will find some crazies in every group out there. It saddens me greatly to know Christians do some terrible things. For if it was a Muslim, which I haven’t heard this but I’m just tossing it out there. Sadly, I can understand this one some. Most of the acts of terrorism we’ve seen committed here in this country I think have had the battle cry of “Allahu Akbar!” Again, that doesn’t mean that I need to live in terror of the Muslim down the street. Now we could discuss the ideologies instead and where they lead to. These are better questions because we’re discussing worldviews and not persons. For instance, if atheism is true, this person does not have to represent all atheists, and he doesn’t if he is one, but we could ask how atheism explains this. If the person was an atheist, did that person live in contradiction to his worldview or not? What if they were a Christian? Again, we ask the same questions. We also ask that if they were a Muslim. Every worldview has to explain evil and every worldview has to explain morality, even if as is the case with some atheists, they want to say that morality is an illusion of sorts and there is no objective right or wrong. There’s another thing to not say here. It is foolish I think for us to try to divine the will of God from what happens. Sometimes things just happen because people are evil. I have a problem with people reading the will of God or trying to figure it out from dreams, experiences, events, circumstances, etc. which we don’t know to be directly from God and messages for us, and ignoring the place where we are sure we get the will of God, Scripture. Spend more time exegeting Scripture than you do your own life. Also, I am on guard now for people saying statements about mental illness. Unfortunately, mental illness becomes a catch-all term that people use and automatically everyone with a mental illness is suspect. Technically, my wife and I both have at least one, namely Aspergers. Could someone with a particular mental condition be more prone to doing this? Sure, but let’s make sure that we don’t impugn all people with mental conditions with that. When this happened in Las Vegas, I saw someone saying it was the case of mental illness. It always amazes me that people say that someone had to be mentally ill to do something like this. Not necessarily. Could some people just simply be evil and do this? We so often want to say that the person is just a poor thinker and did something stupid than to say the person is an evil soul who did something evil. Sometimes, things happen because people are sinners. Chesterton years ago said the most empirically verifiable doctrine of Christianity is original sin. We are now losing sight of that. It could be we want to say mental illness because those who are supposedly “sane” can then be free to not worry and we don’t have to bother examining ourselves and that pesky little sin problem. For a while, you’re going to hear people make several claims about what happened. Always be ready to ask what the source is for the claim and how it has been verified. I’m also sure we will hear several crazy conspiracy theory claims. There will be no doubt people saying that this didn’t happen at all. Who knows what else they will come up with? Please especially ignore these. Pray for the people involved and let’s try to not jump onto any bandwagons of suspicion. Wait until the facts are in, and these are facts that are agreed to by the majority, and then discuss. Until then, worldviews are always available to be discussed and it could never hurt us to have more discussions about the truth on ultimate reality. Are Christians who celebrate Halloween disobeying Scripture? Let’s plunge into the Deeper Waters and find out. Whenever the holidays come around, you can always find people who will speak about them being pagan. Christmas and Easter are common candidates. Next is Halloween. 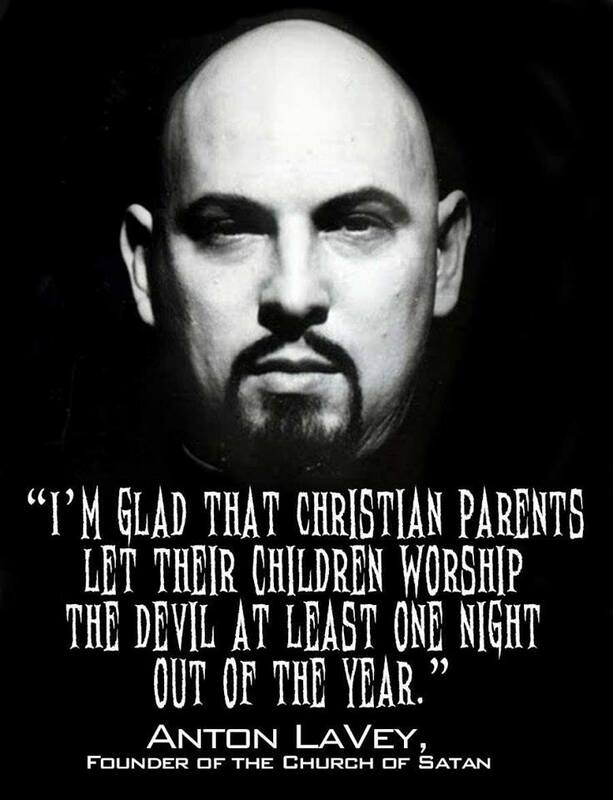 So it is that when we get to this time of year, a lot of people come out condemning Halloween and all Christians who celebrate it. Consider this that was posted on a Ratio Christi page at Marshall. I was not able to find the original post myself, but I was told about it from someone who works with them. They claim it was from an atheist/buddhist, but it doesn’t look like that to me. At any rate, the sentiment is common. If you rejoice in the abomination of Hell-Oween today and you claim to be a “Christian”. Your part of the problem of the world not coming to Christ. You don’t set yourself apart, which is what being sanctified means. You rejoice in murder, witchcraft, darkness, death, skeletons, evil spirits ALL in the name of “all saints day”, or its just for fun or “we are just having a good time”. How wicked the American church is. It stinks as a worldly sent in the nostrils of almighty God. If I could I would declare today national repentence day for so many Christians holding hands with sinners, and when we are told by the bible to not even take council from the ungodly (psalm 1), much less live like them in their sinful celebrations. What saints are you “worshipping” today? You should be rejoicing in Holiness, righteousness, purity .. “Think on these things” (Phil 4:8). Today is a day to celebrate amnesty from the wicked Catholic Church (Reformation day) and all of its corruption, not dressing up like Devils and watching perversion of evil movies and filth. Today is a openly professed hallowed day in strains of witchcraft and satanic churches and yet you are celebrating today with the lost? Wake up!!!! Or consider what a Christian said to me yesterday on a YouTube channel which shortly afterward the owner of said channel banned me from. Do not do as the other nations do. Do not take up their ways, neither give your sons or daughters to them in marriage. If you spend time reading scripture rather than giving more weight to a “scholar” perhaps you wouldn’t be verbally sparring with me. Is Jesus even your Lord or are you your own Lord??? Show me in Galations 5 what part of the fruit of the Holy Spirit are you writing to me. Is it love, joy peace, etc…do you even know what the fruit of the Spirit is. Where’s your scholarly source…you have none. This was in reply to my asking for evidence from a scholarly source that Halloween is pagan. For too many Christians, God forbid you ask them a question. Do they have a point? Is this what we’re supposed to do? Let’s start with the second one. Are we supposed to come out and be separate? Yes. However, what does it mean to live like the people around you? I was out driving with my wife today. I suspect many people sharing the road with me driving were non-Christians. Am I being separate from them if I drive as well? I suspect many non-Christians see doctors, go out to eat, do grocery shopping, cook meals at home, etc. What is being talked about? In each case, it’s talking about moral living. Now this would work as an argument against Halloween only if you apply the missing claim. Note that the very question under consideration is if the Bible tell us to not celebrate Halloween. Here is the way the argument goes. The Bible says to not live as the world lives. Celebrating Halloween is living as the world lives. Therefore, you should not celebrate Halloween. Once again, the problem is that driving cars and going grocery shopping is also how the world lives. What else needs to be said? That moves us to touch not the unclean thing. The Bible says to touch not the unclean thing. Halloween is the unclean thing. Therefore, you should not participate in Halloween. Again, it works, but only if you grant the second premise. Yet the second premise is the very thing under questions. It’s just begging the question. Let’s suppose I wanted to say something like dancing was wrong. Put in dancing in the second premise and the conclusion and the argument is the same. Unfortunately, it would only work if you accepted that dancing was wrong. None of these address the issue. The same comes with not doing as the world days or giving your sons and daughters to them in marriage. The last part shows we’re dealing with a society of arranged marriages. The Israelites for day to day practices would have to interact with the pagans around them some. It was fine to do that provided they did not violate the covenant of YHWH. What about the first statement shared to Ratio Christi? Well, this works on the same principle. If you accept the premises, the conclusion makes sense, but the premises are exactly what is under question. If someone is seriously not coming to Jesus because of Halloween, you have to wonder how much the search for truth is being taken seriously. Also, most people who are celebrating Halloween are not glorifying all the things spoken of. They’re dressing in costumes, pretending, and getting candy. There are people who use holidays as an excuse to do any number of evil activities. That will not stop me from celebrating a holiday. When I was growing up, the big thing was a ninja. I just enjoyed being in the costume and pretending for a night. I’m quite sure I never even got around to eating all of my Halloween candy ever. Food just isn’t a temptation for me. I am not going to say anything about the Reformation aside from, why not both? Plenty of Christians will be doing just that. They will celebrate the Reformation and give out candy to trick or treaters or take their kids out themselves. Note also that none of this is saying you have to celebrate Halloween. If you have some moral qualms, by all means don’t celebrate. Feel free to share your opinion, but don’t make it a point of Christian superiority. Let it be a Romans 14 matter. Also, keep in mind that even if Halloween was pagan in origin, that doesn’t mean it is today. If a day was made to honor pagan gods and we spend that day dressing up in costumes and asking for candy instead, I think we’ve essentially shown the pagan god doesn’t have influence. Redemption is not just about people. It is about the world as a whole. What can we learn from this day? Let’s plunge into the Deeper Waters and find out. As I start to write this blog, it’s about 8:42 in the morning EST. I think it was around this time that Professor Wheeler came to us as we were sitting in the gym area of our Bible College where morning worship took place as this place could seat the whole student body. Before the sermon, he said to pray for the people of New York. A plane had just hit one of the World Trade Center towers. There was no panic or anything. I doubt people were thinking we were under attack. I sure wasn’t. I don’t even remember a discussion about it going on around me so we went and had our worship service. After that, the announcement came that the second tower had been hit by a plane. Now it was no longer an accident of some kind. This was an attack. 9/11 is a day where we always look to the past. Lately, this has been quite a contentious topic in America. We have scores of people who want to take down statues of our past and change street names related to our past. I haven’t said much about it, but I do not support such an action. You see, 9/11 taught us something. It did show us a way that we were vulnerable and now we have improved on that to make sure it doesn’t happen again. Having suffering come into your life for a reason can be a tragedy. Not learning from it so that you repeat the mistake is even worse. If you do not learn from your mistakes, why should you not expect to repeat them? We can’t erase 9/11. We can’t rewind the tape and undo it. Many of us have things from our recent history that we would love to go back and get to do them over again. It’s useless to wish for. You don’t have that ability. The best you can do is look at the event and see what you can learn from it. It’s also useless for us to stay in the past and beat ourselves up over it. It happened. It would have been nice if it hadn’t, but it did happen. If it was for some sin we did, we repent and move on and agree to do better. No further punishment is needed for Jesus took it on for us. If it is for something that happened to us, we learn how to better prepare ourselves for next time. The past can be a great teacher for us. So now we get to the craze today of removing statues. It would be nice if we could go back in time and remove the failures of our past from us, but we can’t. Slavery happened and there’s no changing that. No one today though is responsible for what happened in the past. The more we try to punish people today for what happened, the more we make ourselves live in the past and hold people responsible for what they did not do. Our past can be ugly, but it cannot be erased. We can live like it didn’t happen, but it did. If we act like it didn’t happen, we are more prone to make the same mistakes. To hold up the statues is not to celebrate the past, but to acknowledge it. none of us should want to celebrate what happened. When we remember 9/11, we don’t celebrate what happened. We remember it. Where we are the ones guilty of a sin, we have grace for ourselves and repent and move on and celebrate the grace of God. Where we have been wronged and put in danger, we learn from the past and say we won’t repeat it again. Today, we’ll be thinking about 9/11. Part of our yearly ritual on this day is to watch the World Trade Center movie. We also ask that you thank God for the people you know in your life who are first responders. If you’re reading this and you’re a first responder, thank you for your service. And if you’re reading this and you lost someone in 9/11, my sympathies go out to you. Nothing can ever really change this day. We can only say what was said long ago, that we will rebuild and live on. Never forget the past, but don’t let it be a place of permanent residency. This goes for all of us. May we all have grace and live our lives today. We don’t dare act like it didn’t happen. It happened and it mattered and the lives of those who died will never be deaths in vain. Are hurricanes a fulfillment of prophecy? Let’s plunge into the Deeper Waters and find out. It’s not really a shock that when anything major happens in the world, so many of my Christian brothers and sisters are there to immediately tell us that this is a fulfillment of prophecy. No matter what happens, prophecy is being fulfilled. Trump’s getting elected is a fulfillment of prophecy and had it been Hillary, no doubt that would be a fulfillment of prophecy too. This happened with the eclipse and with two hurricanes, it’s happening again. Never mind that to get to Harvey, we had to have seven other hurricanes and you didn’t hear a peep really about those. Never mind also that much of the world experiences hurricanes, though they’re not called hurricanes there, and nothing is said about those. Like many people today in America, American Christians seem to assume that all prophetic fulfillment centers on what happens in America. So what about hurricanes? I did go over to YouTube to look. Just type in “Irma” and “prophecy” and see what happens. The prophecy experts are already at it. I have always said that I would like to be a prophecy expert. You can write a book making ample predictions, have it be a best seller, get touted as an expert in the media, get everything entirely wrong, and still somehow the cycle repeats for you. This time, there’s a verse I’ve been asked about in Luke 21. “There will be signs in the sun, moon, and stars. On the earth, nations will be in anguish and perplexity at the roaring and tossing of the sea. Now the literalists among us are looking and saying the sun and moon are a sign with the solar eclipse and now we have the roaring of the sea. They seem to somehow be ignoring the stars part. (Note that they are always selectively literal) It can’t be that an eclipse just happens as part of the natural working of our planet. Nope. It has to be a sign. This really isn’t a Christian notion. This is much more of a pagan one. There have been numerous eclipses in history. Sometimes an eclipse is just an eclipse. We don’t need to be looking for signs in everything that happens. Sadly, we have a reputation of doing that. When Israel is established as a nation, well this is it! Forty more years! Forty years have long since passed and nothing. Maybe it was the Six-Day War! Forty years have passed. Nothing. Every time we see this, it becomes an embarrassment to us because the world looks and realizes they can’t take Christians seriously. If you’ve read my blog for awhile, you know I’m an orthodox Preterist in my eschatology, so yes, I do think Luke 21 has already been fulfilled. Note especially the part before about Jerusalem being surrounded by armies. This did happen in the time of Vespasian. Someone could say “Well there could be a future fulfillment”, but it’s up to them to establish that. Note that the text also says all these things must happen. Not some of them. All of them, and before the generation passes away. That included in this the destruction of the temple which has already happened. If you want to be a futurist, I disagree with you, but be a futurist. Please though do not be doing prophecy watches. It has a bad track record and it is very unlikely that you are the exception. Instead, the church just gets embarrassed with a bad track record of how to interpret Scripture. If they can’t trust us with Scripture in what they can see, why should they in what they can’t? What are we going to celebrate today? Let’s plunge into the Deeper Waters and find out. Today, many of us are going to go to celebrations and barbecues and watch fireworks go off. For us, we’ll be going to see my in-laws today. We could be watching a movie with them on Netflix or something like that as well. Normally, it’s a war movie. I don’t really care for those as much, so I usually have my DS with me. Anyway, it’s easy to live and celebrate today and be unaware of how we got to this point. This is something I usually have a problem with many of my fellow Christians about. We go to church and talk about the suffering we face today often blissfully unaware of the suffering the early church went through and we think that it’s all about us. Today, you have freedom in America, and that freedom does not come from the government as we so often think. Government does not give you rights. If you have anything that is yours by virtue of being a human being, then that is a right. No government can truly take it away, although they can surely try to get in its way. Enjoying those rights is where freedom comes in. You came to be able to enjoy those rights because over 200 years ago, some people were willing to sacrifice themselves so that you could. They were willing to engage in an experiment never before tried in the history of the world. They took the ultimate risk standing against a powerful force of their day. The sad reality for many of us today is that if it happened before our time, we don’t really see the point of it. There was a Facebook status I saw once, not on my feed but elsewhere, of a girl complaining about why we had to have the Civil War. It was just another thing to study. Absent to her apparently was that there was something worth fighting for in that war. We have a great danger then that we will take freedom for granted today. Why shouldn’t we? We take so many other good things for granted. Right now in America, we have the freedom to worship together. How much longer? Look at the people in your life. Look at your spouse, your children, your family, and your friends. Take the time to appreciate them today. Many people risked and even gave their lives so you could get to do that today. Of course, enjoy today. No one is saying to do otherwise. Others died so we could be free, but they wouldn’t want us to not enjoy that freedom. If you can shoot off fireworks and have a barbecue and be with loved ones, then that is a freedom that you have. Perhaps you might also want to even get out a copy of the Constitution and the Declaration of Independence and read through them some today. Take some time to remember what it is that makes this nation great.